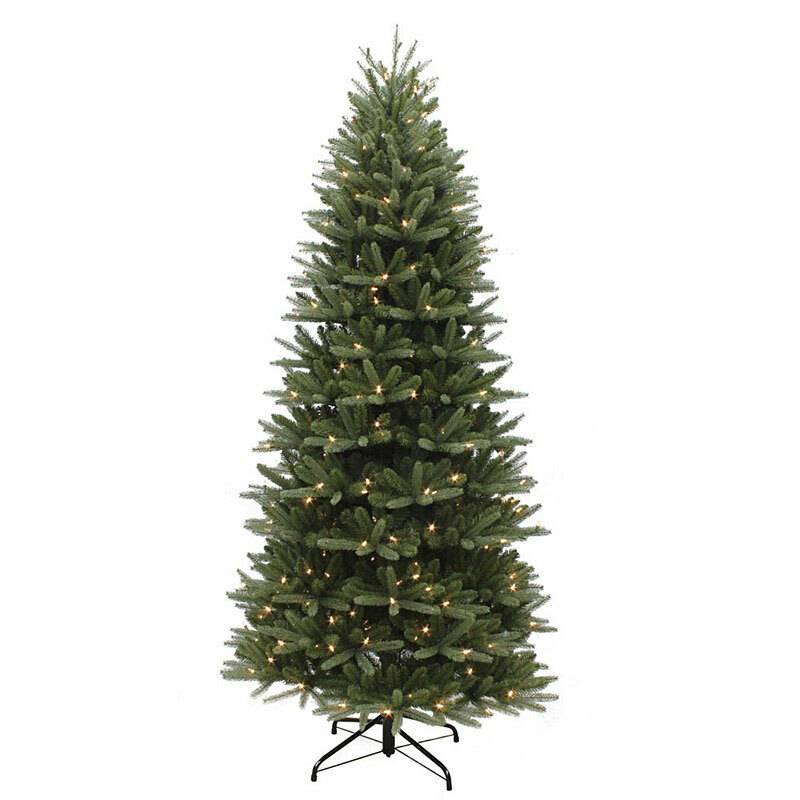 Slim Washington Valley Spruce 6.5ft Pre-Lit Artificial Christmas Tree provides a slimline "Real Needle" authentic look tree with PE/PVC branches & tips from the popular Puleo International seasonal tree range. Polyurethane (PE) allows realism of soft tip shape to closely resemble a natural looking fir tree, combined with the mix of Poly Vinyl Chloride (PVC) materials gives the tree branches strength for decoration hanging. 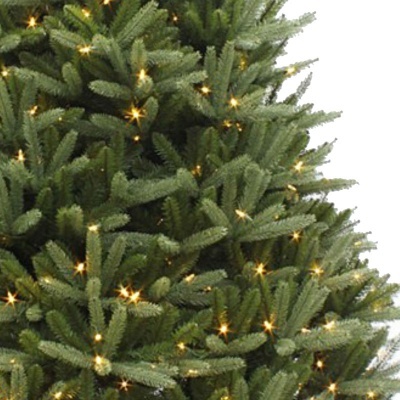 An authentic 1.95m (195cm) high quality tree such as the Slim Washington Valley Spruce will provide any family home a slim space saving illuminated tree. PE mixed trees require less shaping for realism than a 100% PVC tree, ensuring the enjoyment of lights & decorating can begin sooner! Pre-fitted with 200 soft white LED lights each tree section has flame retardant and fade resistant folding branches. Easy setup branches just fall into place for trouble free installation straight from the storage box (included). 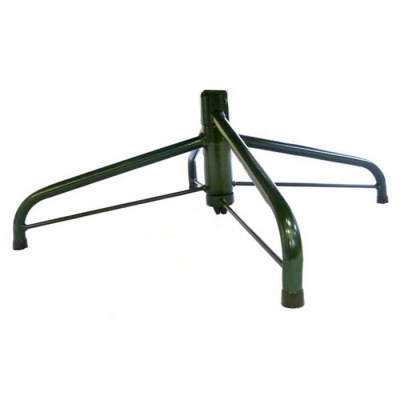 High quality green metal coated fold out stand supplied.